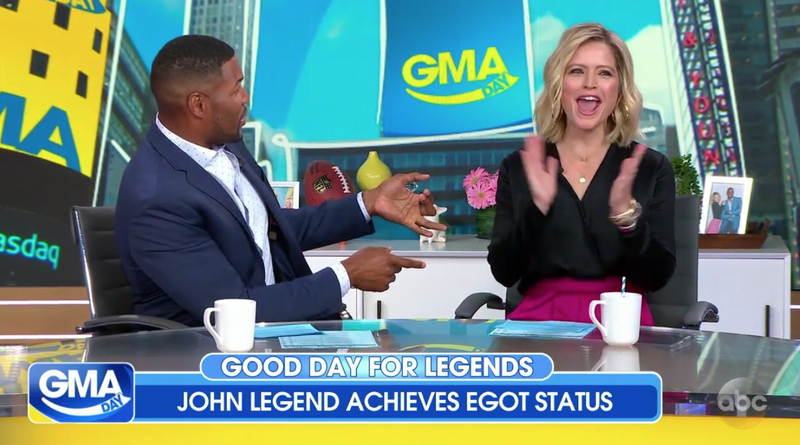 ABC News‘ “third hour” of its “Good Morning America” franchise, “GMA Day,” kicked off Monday, Sept. 10, 2018, using the second level of the network’s second level Times Square studios and rounded animated graphics. The show, which has already introduced its logo design in the parent show’s bold sans serif font with a “smiley” below it, continued to use this look — with the letters and smile often playfully animated during various wipes and other elements. 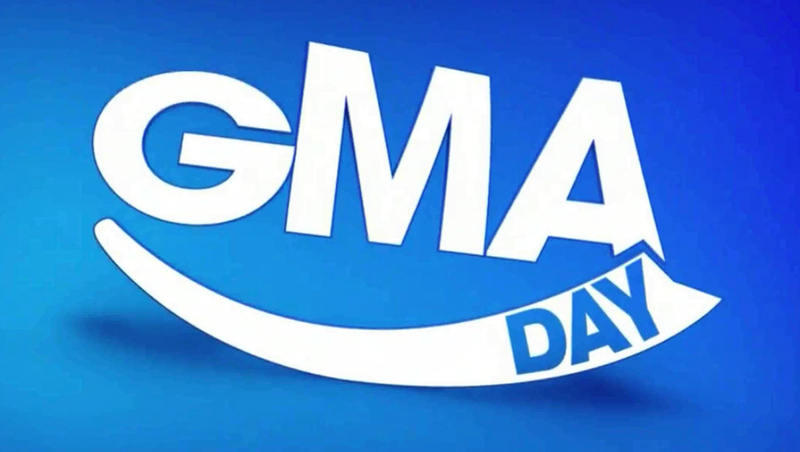 In addition to the new logo, the show also departed from the “GMA” boxy graphics package with a package that made use of rounded corners, including for the bug and lower third inserts. In many ways, the show’s graphics mesh better with the “GMA” brand — relying mostly on the bold, geometric Century Gothic-esque typeface in shorter, simpler blurbs of text.